Discount Air Ticket to Japan and Asia, Travel to Japan and Asia, JR Pass, Tours, Hotel and Ryokan Booking and more ! 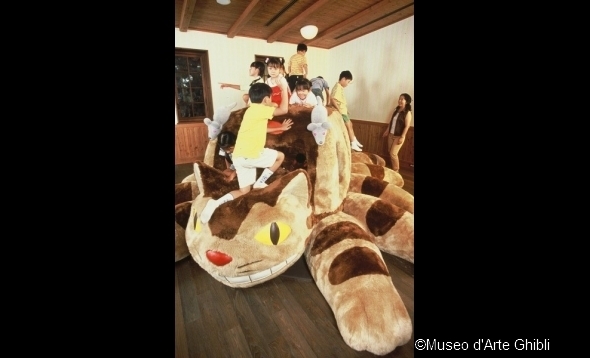 This hugely popular tour includes special entry to the advance-reservation-only Ghibli Museum. The museum features a plethora of exhibits including animation production processes and a Ghibli original short animated feature viewable only at the museum. Visit Hotel Gajoen Tokyo. This spectacular historical building is said to have inspired an important structure in one famous Ghibli film. Enjoy the atmosphere and savor a meal of the hotel’s prized cuisine. *Please show your reservation confirmation sheet at check-in. Please arrive at least 10 minutes before the departure time. Take a commemorative photo and enjoy a buffet lunch at a spectacular, historical hotel said to be the inspiration for a famous Ghibli film. Please understand that vegetarian options are not available. In the case that the meal cannot be provided at Hotel Gajoen Tokyo due to facility circumstances, the meal venue will be changed. An outdoor museum featuring historical structures with high cultural significance which have been moved to the museum from their original sites, recreated and preserved for exhibit. Walk down streets lined with colorful and intriguing buildings which evoke an atmosphere just like in a Ghibli film. As Edo-Tokyo Open Air Architectural Museum is closed on Mondays (excluding holidays), the tour will visit Jindaiji Temple or Takahata Fudoson Temple instead. The same applies for other closed days. Enjoy freely walking around inside. The museum features a plethora of exhibits including animation production processes, a reading room, and a Ghibli original short animated feature viewable only at the museum. The interpreter guide does not provide guidance inside Ghibli Museum. After arrival at Ghibli Museum, participants will have time to walk freely through the museum once entrance procedures are finished. *Please head to your next destination on your own from Shinjuku. The interpreter guide will inform customers how to return afterwards. If the minimum number of participants (1) is not met by 4 days before the scheduled date, the tour on that date may be cancelled. 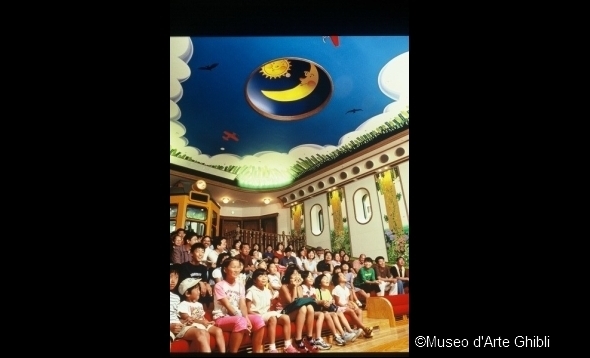 The tour will be cancelled if Ghibli Museum is closed due to unforeseen circumstances. Information on closed days in 2018 will be determined starting from January 2018. Please be aware that tour dates are subject to change. 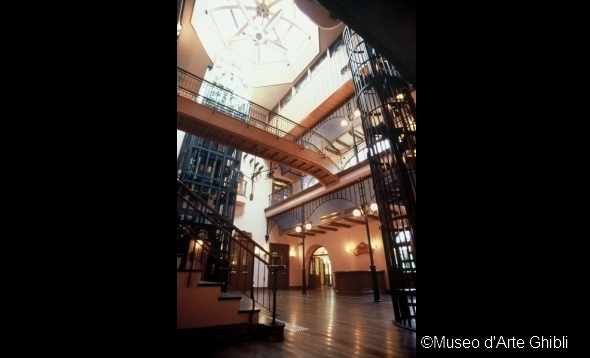 If the tour cannot visit Hotel Gajoen Tokyo or Edo-Tokyo Open Air Architectural Museum due to facility circumstances, an alternate destination will be visited and the tour will still be held. Please note that in this case, refunds will not be provided. Baby strollers cannot be taken into Ghibli Museum. Child rate is applied from age of 4 to 11. Children 3 years of age and younger may join the tour, but they will not be provided with bus seats or meals. Participants may not go directly to the destination on their own, and may not join the tour midway. Leaving the tour midway at Ghibli Museum is allowed. In such cases, customers must head to their next destination on their own from Ghibli Museum, and no refunds will be provided. Arrival times may be delayed by traffic conditions. Edo-Tokyo Open Air Architectural Museum is closed on Mondays. (Open if Monday is a holiday.) In such cases, the tour will visit Jindaiji Temple or Takahata Fudoson Temple instead. Please contact JTB Reservation Center for the pickup service to assembly place. Cancellation rates will apply to the tour fare as below. If notice of cancellation is received on tour starting date, or in case of failure to show without notice 100% of the tour fare, 1 day prior to the starting date of the tour 40%, 7 to 2 days prior, 30%, 8 days or more days prior, no charge. Cancellation period is based on United State PST time.. Notice must be received during JTB USA office hours. Mon. - Fri., 9:00AM-5:30PM PST Except National Holidays. © 2019 JTB USA Inc. All right reserved.